We are pleased to announce David Graham CIMA®, Senior Financial Planner at Story Wealth Management in Melbourne VIC, has attained the Certified Investment Management Analyst® certification. Only 2 percent of financial services professionals hold CIMA certification, which is delivered by Investment Management Consultants Association® (IMCA®) and is the only credential designed specifically for investment advisors and consultants. We are delighted to announce that Anne Graham has been awarded Securitor ‘National Adviser of the Year for 2015’. The Adviser of the Year recognises a financial planner who has demonstrated the highest level of professionalism and excellence through client service, advice delivery and innovation. This prestigious award celebrates brilliance and recognises the commitment and contribution that Anne has made to her clients, her business and the professional community. Anne constantly strives to improve the lives of her clients and her team and is an advocate for continued education. This national award reflects Anne’s ability to provide quality advice that puts her clients first while embracing the values and principles within the broader Securitor business. Anne espouses what we all see as best practice in terms of financial advice and acting in a client’s best interest and we are extremely proud of her most recent achievement. We are extremely pleased to announce that our very own Anne Graham has been invited to join the “Most Trusted Advisers” network. To be invited into this recently formed network means that Anne (and the other Advisers on the network) has had to undergo some extremely rigorous evaluation. Anne has been invited to join this network because of the high scores she obtained through feedback received from clients, industry benchmarking against her skills and her technical ability. An independent external research organization conducted a client experience survey to measure how effective Anne is at delivering her financial advice. To be invited into the “Most Trusted Adviser” network, Anne needed to rate high on her technical skills and interpersonal skills, qualifications and experience. Each Adviser on the network has received a Net Promoter Score (NPS) of 50 or more. The NPS was chosen as the benchmark because it is used to measure client loyalty across a number of industries, for example, banking, telecommunications, airlines and supermarkets. By way of illustration, Optus has an NPS of about minus 8, Telstra around minus 13 and the airlines around zero! To remain on the “Most Trusted Adviser” network, Anne will be assessed every 12-18 months and must re-qualify in order to continue to belong to the network. We are extremely proud of Anne’s achievements but also her willingness to be part of an evaluation of this nature against her peers and, to be rewarded and now recognised as one of Australia’s “Most Trusted Advisers”. Rest assured, when you introduce your family, friends or work colleagues to Anne you know that she has built her advice reputation based on trust, skill, experience and knowledge. Congratulations to Anne Graham on being announced Securitor Financial Group’s 2014 Victorian Adviser of the Year. This is an achievement that we are all so proud of and it reflects Anne’s genuine passion for providing our clients with quality advice to help them achieve their goals and the life they want. The award also reflects the hard work and effort of the Financial Planning team and the wider McPhail HLG Financial Services Group. The National Adviser of the Year will be announced during the Securitor Convention next month – good luck Anne! We are thrilled to announce that Anne Graham has recently been named the National Winner of the 2013 AFA Excellence in Education Award. This follows from an earlier announcement of Anne being nominated for the State award in July this year. This award recognises advisers’ commitment to professionalism and lifelong learning in the Finance industry. Head of Campus AFA, Nick Hakes said ‘Anne has demonstrated her ability to take what she has learned, both through theory and practice, and transfer this knowledge into practical solutions for her business, her clients and also herself. This was a real standout. We admire Anne’s belief that ongoing education not only allows advisers to improve the technical advice they provide to clients but it also contributes to raising the professional standards within the advice community. The AFA Excellence in Education award captures the essential elements of professionalism: a combination of education, attitude, behavior and standards. 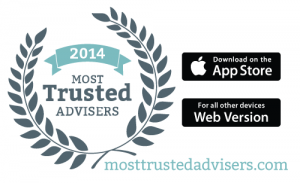 We know consumers value highly educated advisers and this award demonstrates the direct link between investment in education and professional credibility’. The team at McPhails are very proud of Anne’s achievements, only weeks ago she was awarded the Victorian FPA CFP® Professional Best Practice Award. We look forward to continuing to provide great advice and service to our clients. We are absolutely delighted to announce that Anne Graham has been awarded the 2013 Victorian FPA CFP® Professional Best Practice Award. “These awards recognise the best of the best. FPA members comply with some of the highest financial planning standards on a global stage. These Award winners have not only complied with the FPA Code, but in so doing have offered a considerable contribution to the profession through community involvement, mentoring and support to their local FPA Chapter. “Our profession has been through a period of tremendous change in recent years and has made significant strides in advancing the global standing of the profession. These planners have, in spite of any interruption to business, persisted for their clients’ best interests.”said Rantall. This is a great achievement that demonstrates the high quality advice that Anne provides to our clients. Excellence in advice is more than just providing quality advice, it’s about going over and beyond your call of duty to provide the support and living tools people need – often to survive. For female excellence in advice, the role doesn’t end as the client walks out the door, it’s an ongoing relationship of advice, and education that makes a difference not just on a client level, but on an industry level. We are pleased to inform you that David Graham has once again qualified for a position in the Masterclass for Financial Planning 2012 as determined by “The Australian Financial Review Smart Investor” magazine and placed in the Top 50 financial planners in Australia. The Masterclass awards were first introduced in 1998 and are carried out by Smart Investor magazine to provide investors and clients with a guide to the top planners in the country. Applicants must not only be licensed to provide financial advice but also be either: a Certified Financial Planner; Certified Practicing Accountant; or a member of the Institute of Chartered Accountants. Assessment is based on a rigorous 60 minute online exam which is set by experts in the financial services industry. The test gives planners the opportunity to demonstrate their technical expertise in areas like tax, superannuation (including SMSFs), social security, asset allocation, investment strategies, financial maths and estate planning. More information about the award can be found on pages 23-29 of the February 2012 edition of “Smart Investor” magazine. 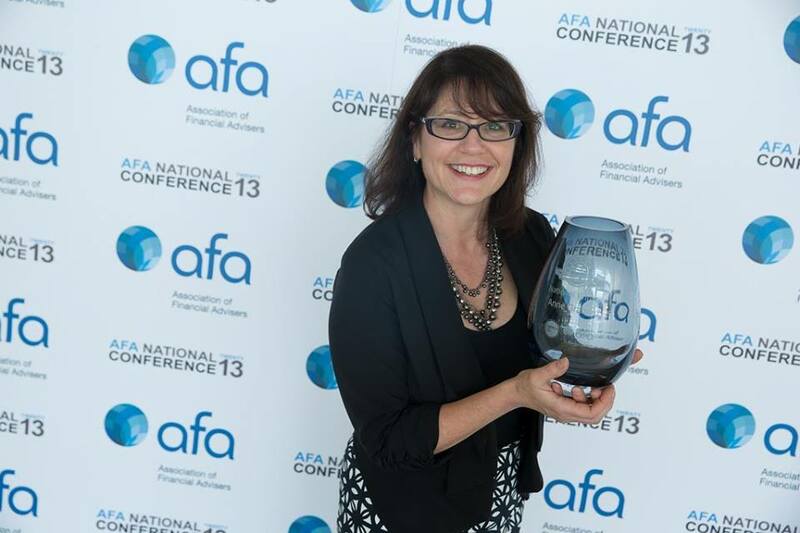 You may recall that Anne Graham was a finalist in the AFA Adviser of the Year Award late last year. We are extremely well positioned to continue meeting your financial planning needs in 2012 and beyond and the recognition awarded to us by our peers will give you confidence that you are in capable hands. We are pleased to announce that Anne Graham is one of six finalists in this year’s AFA Adviser of the Year Award. To reach this point, Anne has been interviewed several times and engaged with the selection panel in on-site meetings where all aspects of the advice provided to clients has been reviewed and considered. A number of clients have also been contacted as part of the award process. The next stage is a presentation to the judging panel and the winner will be announced toward the end of October. September is an auspicious month for many reasons not least of which is the anniversary of the establishment of McPhail HLG Financial Planning. And 2011 is our tenth anniversary! Since 2001, we have seen the business grow from a handful of clients, to over 400 clients, most of whom we see and speak to on a regular basis. Our staff has grown four-fold and we relocated offices some years ago. We’ve seen historical movements in investment markets and changes in Government. There have been innumerable legislative changes to tax, social security and superannuation. The only constant has been the provision of quality, professional advice and this will continue for the next ten years – and beyond. So thank you to all our loyal and wonderful clients and we hope to celebrate this milestone with you soon. 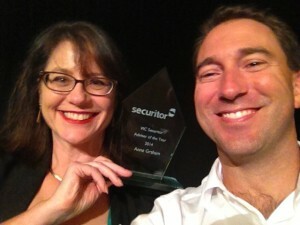 Anne Graham of McPhail HLG Financial Planning in Victoria was recently announced the 2011 Securitor National Adviser of the Year. In 2009, she won the Money Management Financial Planner of the Year award and previous to that she qualified for the AFR Smart Investors Masterclass Top 50 in 2007, 2008 and 2009. We talk to Anne Graham about the secrets to her success. The Masterclass awards were first introduced in 1998 and are carried out by Smart Investor magazine to provide investors and clients with a guide to the top planners in the country. Applicants must not only be licensed to provide financial advice but also be either: a Certified Financial Planner; Certified Practicing Accountant; or a member of the Institute of Chartered Accountants. Assessment is based on a rigorous 60 minute online exam which is set by experts in the financial services industry. The test gives planners the opportunity to demonstrate their technical expertise in areas like tax, superannuation (including SMSFs), social security, asset allocation, investment strategies, financial maths and estate planning. Anne was awarded the Masterclass Top 50 Financial Planners title three years in a row (2006 – 2008). David was awarded this title in 2009. Anne Graham, an authorised representative of Securitor and founder of McPhail HLG Financial Planning, has been awarded the Money Management Financial Planner of the Year. Announced at yesterday’s FPA Conference in Melbourne, Anne is the first female to be awarded this accolade in the award’s 21-year history. The judges determined it was Anne’s dedication to her clients, quality service and commitment to the profession that helped her rise to the top. Thrilled with the award, Anne said it reflects her commitment to providing a superior service. “At the heart of our business model is the client – we put the client first, understand their needs, focus on developing a collaborative relationship and speak in language they understand,” she said. Anne also said that everyone in the industry has an important role to play in improving the industry’s perception and ensuring the value of advice is recognised. Neil Younger, Head of Securitor, said Anne epitomises the valuable role financial planners can play. “Not only does Anne dedicate an enormous amount of time to her clients, but she is also conscious of the important advocacy and development role she can play by being a member of Securitor’s National Advisory Council,” he said. Anne has worked in the financial planning industry for 10 years and is a member of the FPA, FINSIA and CPA Australia. The Financial Planning Association named Anne Graham as Victoria’s only state winner of the inaugural FPA ‘Value of Advice Awards’ 2006. The awards were developed to recognise financial planners’ work for clients and the ongoing value of advice that is provided. The competition was open to all Certified Financial Planners in Australia and was based on real client situations. Anne’s expertise was recognised in the categories of Wealth Accumulation, Pre-Retirement Planning and Post-Retirement Planning and Management. The Financial Planning Association identified Anne’s entries as being outstanding case studies of the value of advice given to clients and Anne was the only financial planner in Australia to win awards in three distinct categories.